Morgans compensation committee agreed to defer future bonus pools at an average rate of 50% instead of 80%. Morgan Stanley (MS) is giving employees a greater portion of their bonuses up front as the bank seeks to structure pay in line with peers and lower expenses in future years. 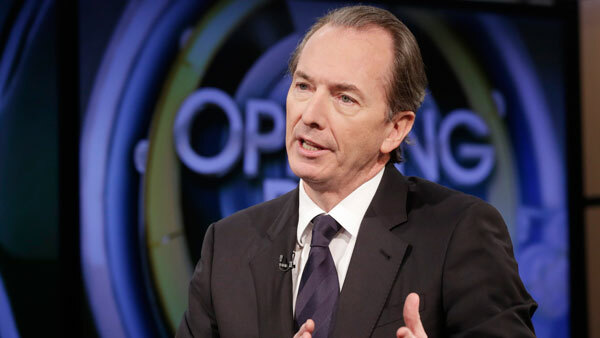 The compensation committee of Morgan Stanley’s board agreed to defer future bonus pools at an average rate of 50 percent, down from about 80 percent last year, the company said Friday in a regulatory filing. The New York-based firm also will take a fourth-quarter charge of as much as $1.2 billion to cover the cost of accelerating vesting of deferred pay awarded in previous years, according to the filing. The moves mark a reversal from Morgan Stanley’s efforts to defer more pay since the 2008 financial crisis to tie bankers to the firm and reduce immediate costs, peaking when it deferred 100 percent of 2012 bonuses for many senior bankers. The early vesting of previous awards will allow more flexibility in managing future costs, CEO James Gorman said in a memo to employees obtained by Bloomberg News. “Now that our business strategy is in place and the firm’s performance has stabilized, it is time to bring our deferral policy to an appropriate long-term level, in line with the rest of the industry,” Gorman wrote. The compensation committee allowed previous deferred cash bonuses to vest on Dec. 1, while the payment schedule on the awards isn’t changing, according to the memo. That means the move is largely an accounting one, giving Morgan Stanley the ability to recognize the costs at once instead of over years. The cost of deferred bonuses typically is recognized when the awards vest, meaning each year the bank has compensation expenses before it hands out any pay. The firm said earlier this year that the total cost of deferred awards in 2014 may be as much as $2.57 billion. Morgan Stanley increased its average deferral rate to 75 percent in 2011, up from 40 percent two years earlier, amid low profitability. That was the first of three straight years with return on equity of less than 6 percent, and Gorman said at the time he was “acutely aware” of the impact of the decision on future years. The bank’s ROE has risen to about 8 percent in the first nine months of this year and Gorman has set a target of 10 percent for next year. Morgan Stanley rose 1.2 percent to close at $37.24 in New York. The shares climbed 19 percent this year, the most among the five largest Wall Street banks. The charge will be offset by a previously announced $1.3 billion tax benefit the firm will recognize in the fourth quarter from changing its brokerage subsidiary to a corporation. The process for determining the total amount of bonuses for 2014 hasn’t changed, Gorman wrote in the memo, the contents of which were confirmed by Wesley McDade, a Morgan Stanley spokesman. Morgan Stanley has been giving its bankers more cash upfront over the past year. Its 2013 awards featured lower deferral rates than those of 2012, and earlier this year it decided to raise base salaries for associates and vice presidents in investment banking by about 25 percent to aid the younger employees with their cash flow.